Giving More by Giving Back! Community Benefit is the end result of identifying an unmet need, responding to that need with every available resource, and then measuring the outcome. 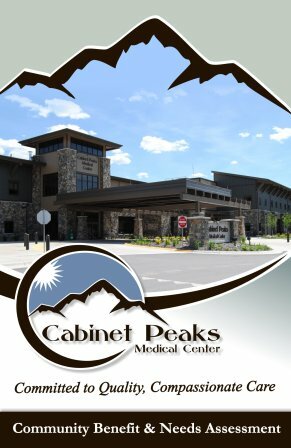 Cabinet Peaks Medical Center is committed to improving the quality of life in South Lincoln County. While quality healthcare is a large component of that commitment, we also offer many programs, services, and activities that bring little or no payment to our hospital, but are ultimately as valuable to the health and well being of our friends and neighbors as the care we provide.